Durable, lightweight and incorporating extensive perforation the low cut road riding boot, the S-MX 1 R Vented motorcycle boot is constructed from a highly abrasion resistant microfiber upper and is reinforced with strategically positioned TPU protectors. 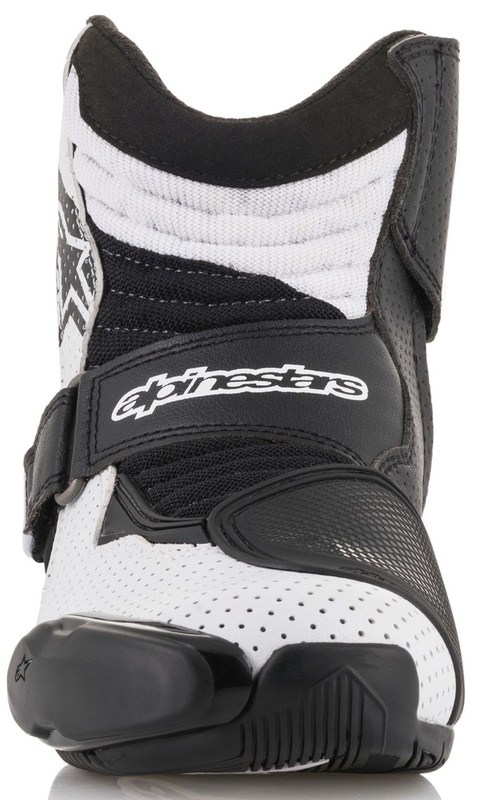 Alpinestars’ exclusive rubber compound sole offers comfort and excellent grip, both on and off the bike, while the accordion flex zones give support and control regardless of your riding position. Perforated medial, lateral and toe panels for excellent ventilation. Innovatory heel counter support system, which works in conjunction with strap closure to offer improved fit and support as well as structural integrity. 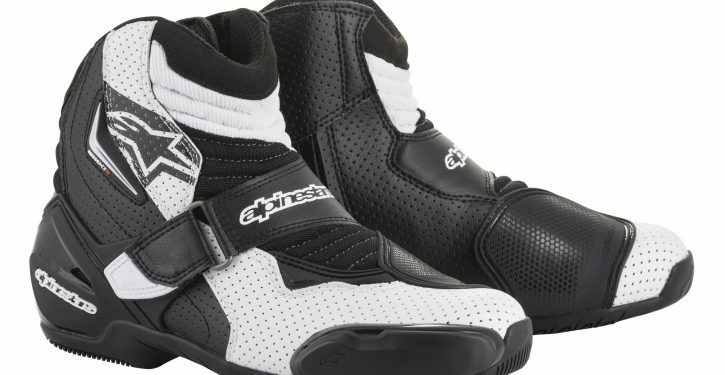 Instep and Achilles’ accordion flex zones from lightweight microfiber for optimized levels of durability, comfort and maneuverability on and off the bike. Integrated, replaceable bi-injected TPU forefoot slider features new easyscrew fixing concept for quicker and easier replacement. Removable anatomic foot-bed includes EVA foam and Lycra® for convenience, comfort and support. • Internal mesh lining for cooling comfort and moisture-wicking. The first thing you notice when using them for the first time is the amount of air they let in, a real plus point given the unusually hot and extended summer we have experienced this year in the UK! They look and feel slimmer than other boots we have tested making them easily fit under a pair of jeans, comfortable and snug fit from the first time we wore them, on and off the bike! 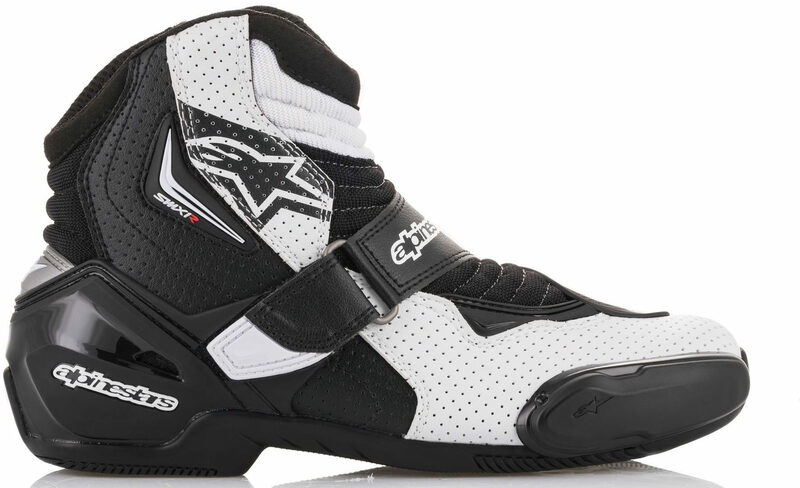 A great short summer boot and very stylish too, as you’d come to expect from Alpinestars, we LOVE them, five stars from classic-motorbikes.net!